Mod Osborne and friends return with another edition of the Above the Lore podcast! This week they will be discussing The Story Behind the World Event, so make sure you head over to RuneRadio at 9pm BST tonight (25th July) to tune in! If you missed this week's broadcast, you can check out the episode (and all previous episodes) in the archives here or on iTunes soon after it airs. 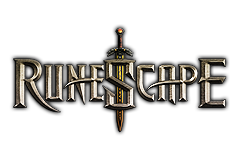 How are you enjoying the new music recorded for RuneScape 3? If you’re a fan (and who wouldn't be?) you’ll want to head over to our music team’s Soundcloud page for some special musical treats. While you’re there, make sure you show them some love by clicking that 'Follow' button!